A leading research consultancy based in Port Elizabeth with an office in Johannesburg. We specialise in research planning, strategy and implementation. Serving big business and entrepreneurs all over the world. As a research consultancy, we specialise in a comprehensive research planning solution, from conceptualisation to evaluation. Our services extend past merely setting up focus groups to gather qualitative data. We use a considerable array of research methodologies and tailor our approach to suit the individual needs of the projects we work on. 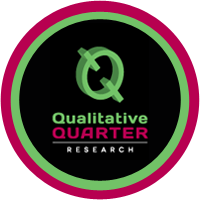 We create the overarching research objective based on your business goals. We create comprehensive plans for every step of the project. We create strategies which result in optimal business solutions. We analyse the data and measure it against the business objectives. We help you to implement the necessary changes according to the data findings. We evaluate the process and the implementation to gain valuable insight. During our numerous years in the field, we have worked with many international organisations. We consult on research projects focused on the African market. Our scope includes business-to-business, consumer and social research, employing various strategies and methodologies to get the best results for our clients.